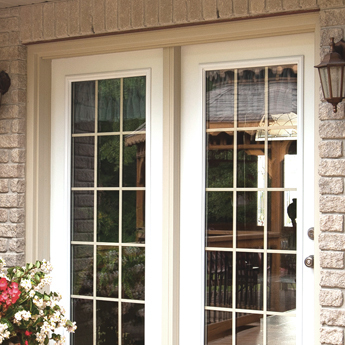 A wide variety of decorative brickmoulds are available to finish the door. 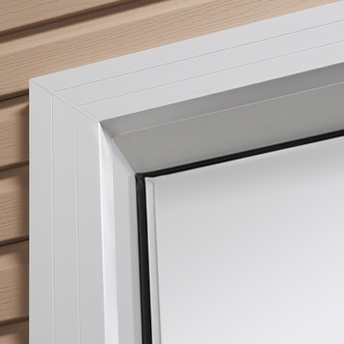 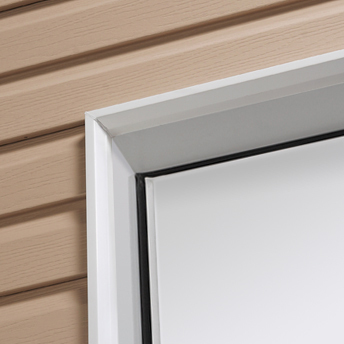 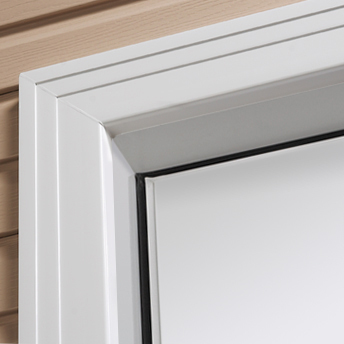 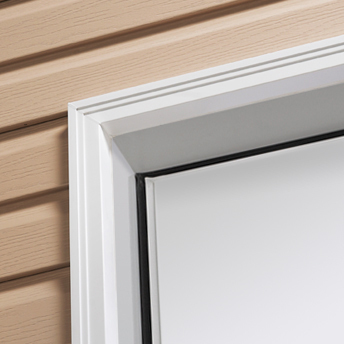 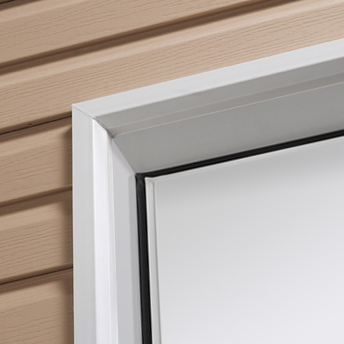 These extrusions cover rough openings between the frame and wall and add visual interest to the completed door. 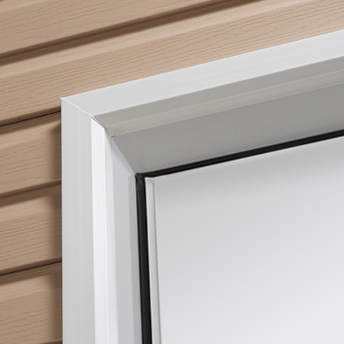 Available in standard white or beige, these extrusions can be painted to match your chosen door frame colour.